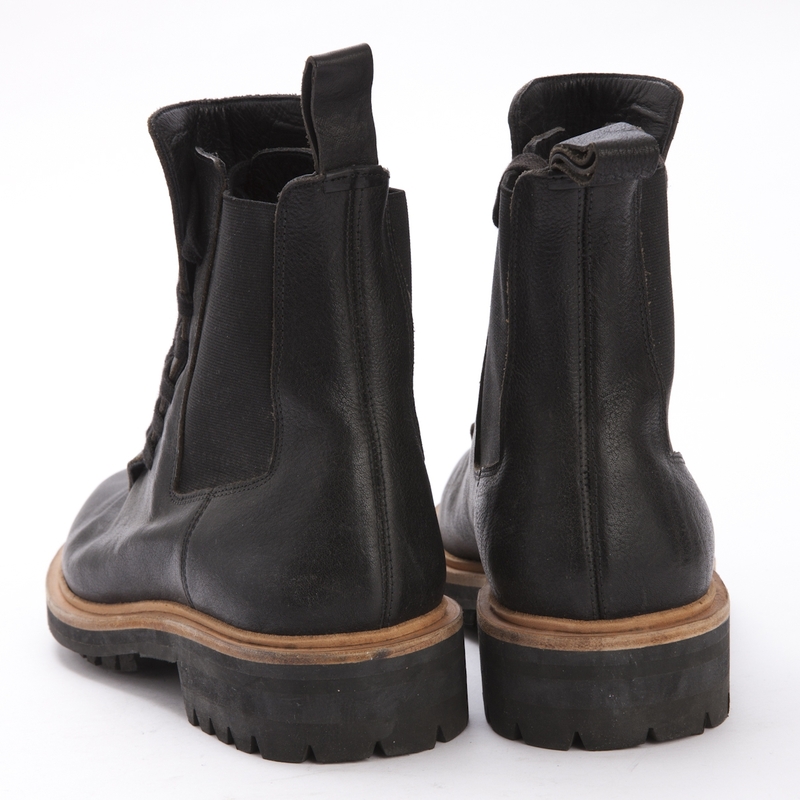 Chelsea boots date back to Victorian English era, when both men and women used them. The trend seemed to go off a bit for a while, but this model is more fashionable than ever thanks to Kris Van Assche. 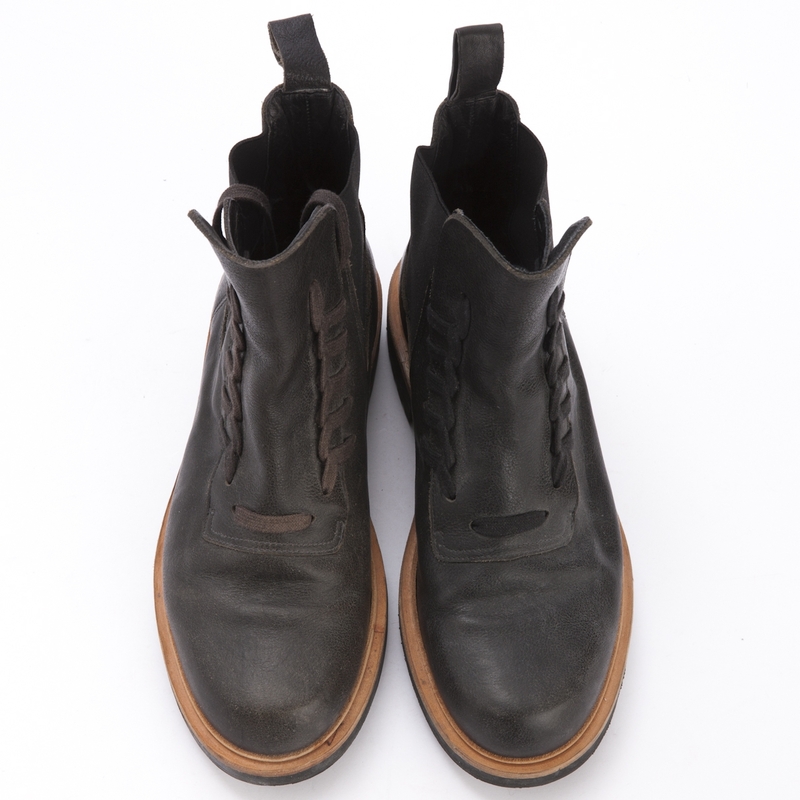 One of our favorite trends is when Chelsea boots are reinterpreted to give them a more modern look. That is the case of this model designed by Belgian designer Kris Van Assche. Van Assche is the creative director of couture brand Dior Homme but has its own collection, full of minimalistic and clean items, complemented by unique details. 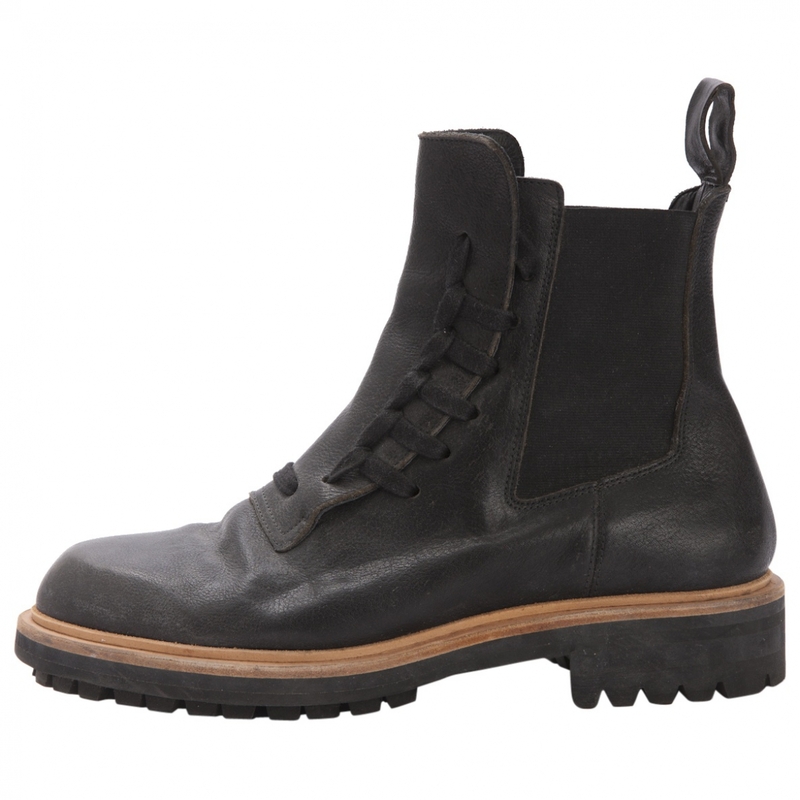 These Charcoal Leather Chelsea boots have laces around the ankles to give them a contemporary feel. This model can be used with any style. However, our preference would be to keep them highlighted, using them, for example, out of the pants. Although they were thought to man, we believe that this model may well be unisex. In addition, it is a perfect example of how the classic can be upgraded and become equally iconic. A beautiful design of Kris Van Assche.